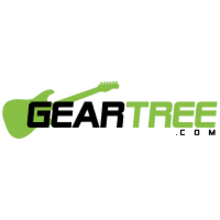 GearTree.com is proud to have its roots in the music business. In 1997, co-founders Matthew Chilvers and Tim Adrianson started selling music gear out of a little shop in Grand Rapids, Michigan called Firehouse Guitars. The store quickly grew and became a chain of full line musical instrument and pro sound stores offering all of the industry’s top brands and products. GearTree.com was then started with the purpose of providing easy access to these same products at unbeatable prices. GearTree.com now offers one of the best selections of music gear anywhere, serving beginner and professional musicians alike. We are committed to offering you the best music gear, the best prices, and the best service anywhere.